If you like Fling or Thud , consider Bloodshot Cyclops for a more repeatable version of the effect. Cards like Gaea's Touch , Ghirapur Orrery and Rites of Flourishing are budget cards that let you play additional lands, and the Rites lets you draw an extra card, too. Sakura-Tribe Scout , Skyshroud Ranger , and Walking Atlas offer you more Llanowar Scout effects, and you might find Budoka Gardener to be on theme for you deck, too. I'd recommend Goblin Bombardment as a good free sac outlet for Omnath's death trigger, and Warstorm Surge to bring some more pain when your big creatures come into play - straight upgrade over Where Ancients Tread . Looks good so far! Hope this helps. +1 Refreshing take and new fun synergies you've listed. Muddle the Mixture - Counterspell that doubles up as a tutor to fetch your key 2 CMC pieces (e.g. Llanowar Scout , Walking Atlas , etc). Long-Term Plans - One of the rare blue cards that searches for ANY card in the library. 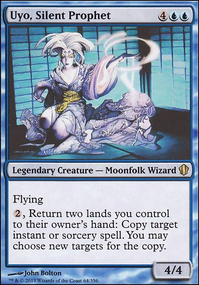 Putting the tutored card third from the top of the library ain't too big an issue with Tatyova's drawing power. 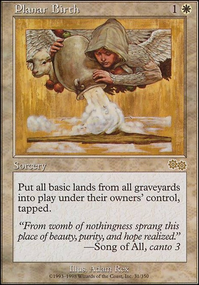 Crop Rotation - Fetches you an important land and draws you a card (if Tatyova is in play). Also, I noticed quite a few key Simic lands are missing from your list. Is that due to budgetary constraints? Breeding Pool , Misty Rainforest , Flooded Grove , Hinterland Harbor , even Bant Panorama , etc. 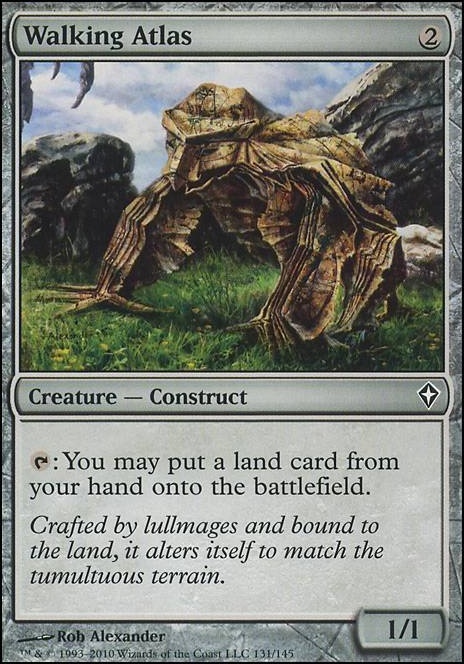 If your budget allows, I'd recommend playing all the Fetchlands that fetches for either Island or Forest too. I've a Tatyova deck too but I've taken it in a different direction. Linking it here nonetheless, feel free to give your comments and upvote too! 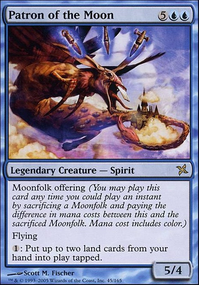 I would add more repeatable or a full 7 card draw via Elemental Bond , Kavu Lair , Mind's Eye , Magus of the Wheel , Dragon Mage , Book Devourer or Masked Admirers . I also would go only 36 lands and add more ways to grab or put lands onto the battlefield. Walking Atlas , Terrain Generator , Wood Elves , Yavimaya Granger , Dawntreader Elk , Sakura-Tribe Elder , Fertilid (pairs nicely with Retreat to Kazandu ), Ondu Giant , Ranging Raptors , or Veteran Explorer are my go-tos depending on what I need. 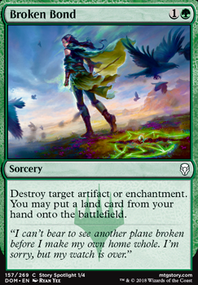 Also Yeva, Nature's Herald would be great for flashing in Nikya to tap your (now) 2x producing lands and drop a threat/blocker. 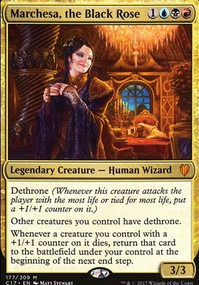 I know a few of my suggestions are non-creature but Nikya will not always be on the battlefield. Hope something helps! Hey, this is a good start, but consider more cards that interact with lands? When your Commander is seven mana, ramp is pretty important. With Omnath you don't really need lots of other big creatures because he's the big creature who's conveniently in the Command Zone and he creates other big creatures with lands. Instead of lots of other big creatures play cards that help you get Omnath onto the battlefield faster, draw cards, get lands, interact with lands or are good when he's in play. All my suggestions to consider are $2 or less. Perilous Forays: can be a repeatable landfall/3 damage to opponents engine with Omnath. Sac an Elemental to do 3 damage to opponent, then put a Basic land onto the battlefield and create another Elemental. Forays is amazing draw with Horn of Greed and Elemental Bond with Omnath. Horn of Greed: good draw when you're putting a lot more lands onto the battlefield per turn than your opponents. Elemental Bond: draw when Elementals are created or whenever another 3+ power creature ETB. Nissa, Vital Force: If you have her, move her from the sideboard to the main deck. Skyshroud Claim: can tutor for and put into play two of Sheltered Thicket or Forests. Wood Elves: can tutor for and put into play Sheltered Thicket or Forest. Skyshroud Ranger: put a land in your hand onto the battlefield. Naya Panorama: helps with landfall.